Two and a half hours of viewing a world where everything is rosy and the entire A-list cast smiles all the way to the end credits is just not a good way to spend £10 of your hard earned wage in an uncomfortably small cinema seat. What we want to see is the kind of dramatic social meltdown that looks great up on the big screen, but we sincerely hope never actually comes to fruition anytime soon. As Ridley Scott prepares to return to the sci-fi genre with the spectacular looking Prometheus, T3 takes a journey through the most epic examples of cinematic bleakness. 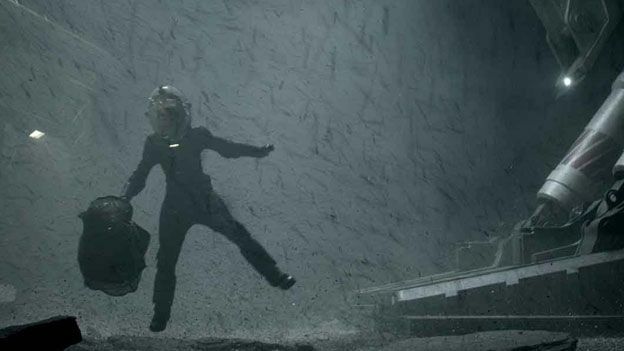 You can also check out the latest Prometheus trailer below. Vengeful android replicants head to smog-choked LA for a bit of the old ultraviolence. On the reality TV show of the future, people die for the viewers' pleasure. Bloody hell, Arnie again? When memories can be implanted, what defines us as human? Also features exploding heads and Arnie. Unwitting dupes fester in a virtual world created by machines until the arrival of Keanu Reeves. 2035, Chicago: detective Will Smith suspects the robot population is about to renounce non-violence. It's 2025. Can't keep up repayments on your transplanted organs? You'll have to give 'em back then…tech, though.